There are few leather gloves that really impress me and make me want them but I’ve been fortunate enough to find a couple in the recent days. 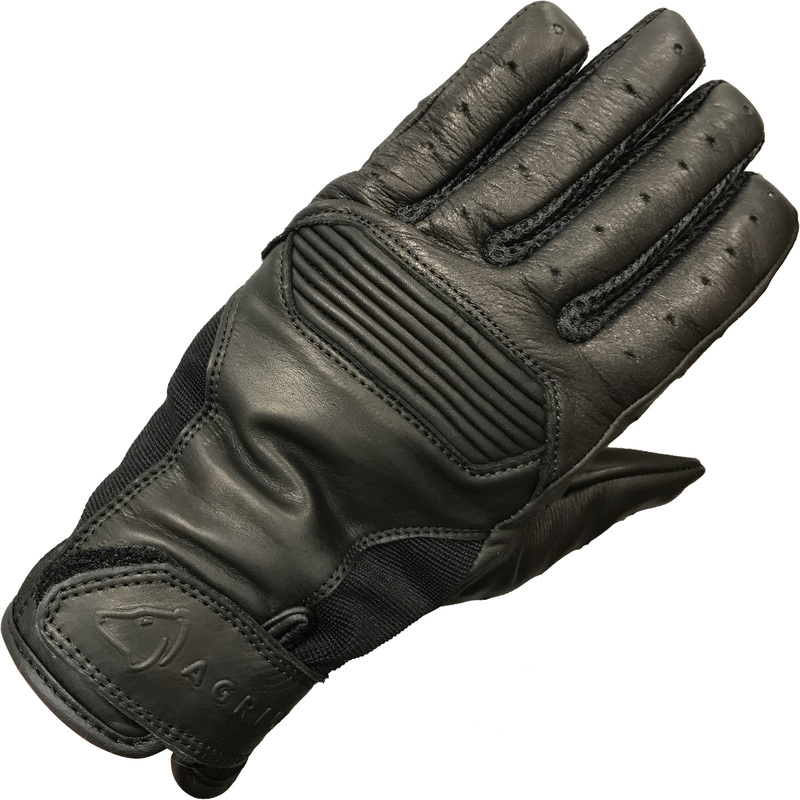 This pair is definitely one of the good ones, it feels good to wear, is breathable for the warm rides out and I have an old leather jacket that they’ll go perfectly with- The Agrius Cool Summer Evo Leather Motorcycle Gloves are on my personal must-have list. They look fantastic, the almost retro look in the leather body of the glove holds the style together but it’s got a modern augmentation with the mesh in the fingers and venting fabric at the sides, just above the cuff. It doesn’t surprise me that I’ve fallen for these gloves for their comfort. I’m yet to come across something in the Agrius brand that hasn’t felt great to wear and these gloves are just another great feeling notch in a spotless track record of “I want them”. They may not look like they have a whole lot of protection but they have enough for me and I want them for how great they’ll be for my across-town family visits over the summer. So why are they so comfortable for me? There’s a couple of reasons but the big one is the material they’re made out of. They’re constructed from a mixture of Aniline Leather that gives the seamless impression of a normal, natural grain leather except this leather is softer and tougher. So despite being a tough material, the softness and the flexibility of the leather is what lends the most to the gloves comfort. The freedom of movement the hand and fingers have without the leather being pulled uncomfortably tight is especially noteworthy for me, as I have lanky fingers that often cause trouble when I’m looking for a good glove. The next reason is how they’ve tackled the knuckle protection. The tough, accordion like panel has a sort of dual purpose- while not being as protective as a full, hard knuckle, the accordion panel does act as a bit of a buffer in an impact. Only by a little bit but it is there. And since its still leather it will still give all the abrasion resistance you can expect anyway. But the stretchy function of the accordion knuckle panel allows for that little bit more room in the fingers when flexing them, preventing the leather across the back of the hand, knuckles and fingers from being pulled uncomfortably tight. Oh and the gloves have a nice, soft touch inner lining too. Which does count for some of the glove’s comfort but the material the glove is made from and how they’ve used it counts for everything in my opinion. For ventilation there is a subtle system in place in the fingers. The leather in the tops of the fingers have perforations along them, a simple but effective method- cool air straight to the fingers. Another, not so simple method, is the mesh material on the insides of the fingers, that allow the fingers to breathe. The gloves also have fabric on both sides of the hand above cuff that act like an exhaust- warm air shunted through them by the cool air rushing in from the fingers. The wrists of the gloves are elasticated so that the gloves have a more comfortable fit around them and the cuff has a Velcro fixture that allows the cuff to be adjusted to a preferred tightness. The Velcro isn’t cheap, either, I’ve ridden with summer gloves that have used small, pathetic strips of Velcro where the stitching started coming off after a few rides. But the Velcro on these gloves feel secure and built to last in comparison. The cuff comes over the wrist a good amount too for my taste- so I’m not too concerned about my sleeves riding up enough to flash my wrists to the world and the cold rushing air. A bit of protection on the wrist is also nice to have too just in case. For what these gloves cost- I really don’t have an excuse not to try them. 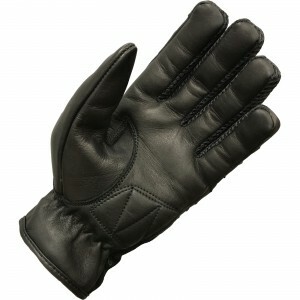 For £14.99 you’re getting a comfortable, great looking leather glove that would be perfect for the summer. So I reckon I’ll be buying a pair of these for myself very soon.